This is a supporting image of Hercules and Pholus. This is the type of vase that the illustrating was on. A hydria vase is the most common vase, used usually for water. 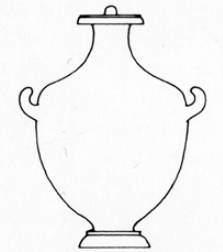 Calpisi are types of hydria vases, just rounded more to fit illustrations.